WE WANT YOU ON TEAM TISCH MS! Whatever you love to do – a walk, a triathlon, a 5K run or a cycling race – do it as part of Team Tisch MS and support the ground-breaking research happening every day at Tisch MSRCNY. Our team is made up of individuals, all dedicated to supporting the cutting-edge research that happens every single day at the Tisch Multiple Sclerosis Research Center. 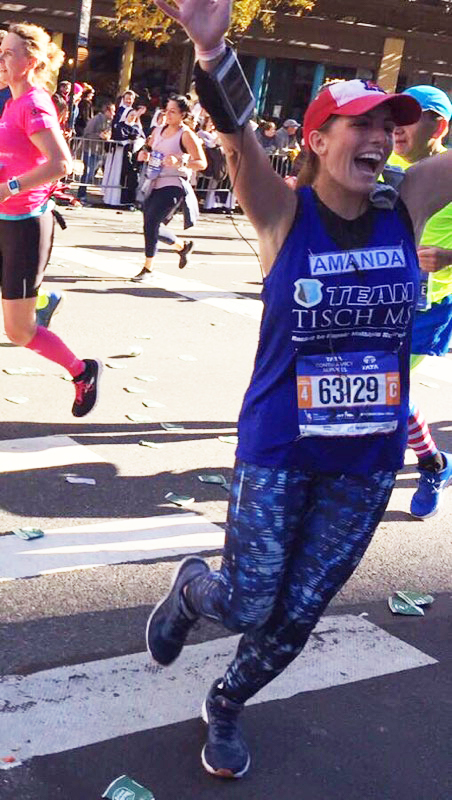 When you wear the Team Tisch jersey, you can challenge yourself to exceed your own expectations, while raising funds for the Center. To support TTMS members racing in the 2019 NYC Half Marathon, please click here. To support TTMS members racing in all other races, please click here. If you are competing in any race where you can raise funds for the charity of your choice, please join Team Tisch MS. TTMS is also looking for sponsors, another great opportunity to help bring us closer to a Future Without MS. Click HERE to learn more!